The Swedish have a long tradition of spirits, elves, trolls, magical creatures, folklore, legends, and fairy tales. And I believe in them because I think there must of been a little magic to save me that day. Maybe some guiding mountain spirit caught my fall, protected my body, and guided me to safety. I don’t know if I find it easier to believe in a protective spirit or just plain luck. 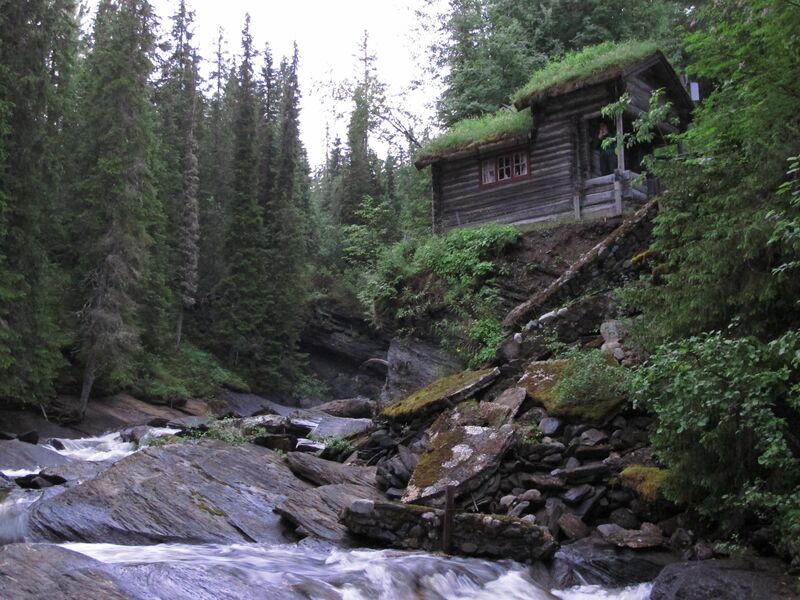 There is certainly a certain good vibe about the Åre and whether this because of mystical creatures and spirits or another reason is yet to be seen. Some of my favorite Scandinavian folklores would have to be of Nøkken, Skogsrå and the trolls. Nøkken is a water creature who can shapeshift. He most often appears as a man sitting in a lake who plays a violin to lure people into the water or onto the thin ice. Once in the lake he takes them down to the bottom and eats them. Then there is the Skogsrå who appears in the forests as a beautiful young woman. She is so enticing and alluring to young men that she can not be resisted. When the young man and the Skogsrå are married in a church she loses the long cow’s tail she hides up her dress and she becomes human. However, she soon grows very ugly much to the disappointment of the young man. The young Skogsrå is very beautiful but she is moody and dangerous, whereas when she becomes old and ugly, she also becomes caring and gentle. There are abundant stories of trolls, who some say are tall and others say short but everyone agrees they are extremely fat and ugly. Many live in the forests and possess immense gold and riches stashed in caves, under rocks and under tree stumps. Supposedly trolls swap baby trolls for human babies, most often pretty girls. They force them to spin by day and scratch the troll’s head by night. I love all these stories because they have a link to nature and the people of that land within the nature they live. The Nøkken could be a cautionary tale to make people aware of the dangers of drowning in the cold, deep lakes or being careful when they walk out onto the frozen lakes in the winter. The Skogsrå is a cautionary tale for all men to not be bewitched by gorgeous young women as they may have secrets to hide and their beauty will change with marriage and age. Then there is the trolls who might be able to explain the one or two ugly girls that there are in Sweden. The place is rammed to the rafters with the some of the most lovely women (and men) I have ever seen concentrated into one country. One Swedish chap we met told us that Swedish people often refer to Birtish girls as floaters. It is a reference to the Viking days when the Scandinavian raiders would steal all the women of Britain for their own. Then on the way home the ugly ones would be thrown overboard and eventually float back to Britain. Cheers guys. But aside from trampoline rocks, mystical creatures and beautiful brides there is a lot more. July 14, 2011 in Uncategorized.